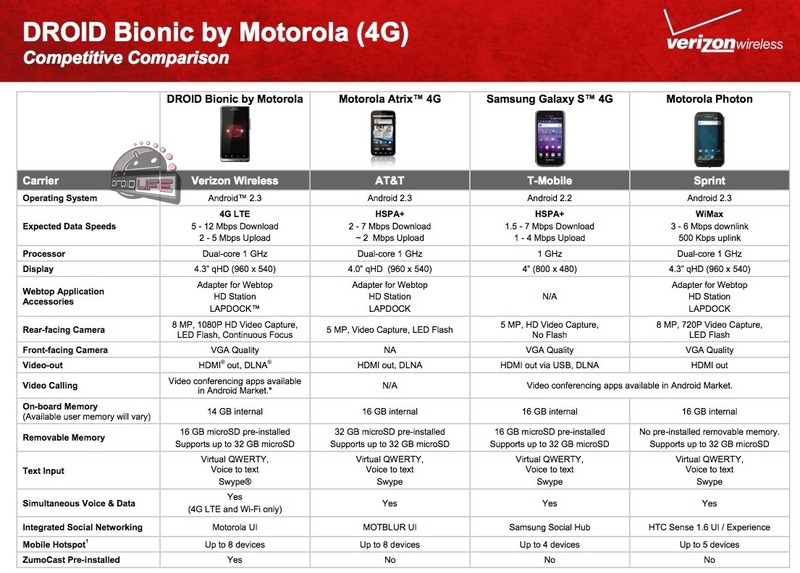 If you were wondering how the DROID Bionic will stack up against some of its beefier competition, then you’ll want to click on the chart above that breaks it all down (excluding the Sensation and EVO 3D for some reason). Also, if you wanted official specs on the device (like we haven’t seen them enough already), this would be a good place to look. We get confirmation on everything: 4.3″ qHD screen, LTE, 8MP rear camera (shoots 1080p video), VGA front camera for video chatting, HDMI out, 16GB SD card pre-installed, 14GB (?) internal storage, Swype, “Motorola UI” (aka new Blur), LapDock capabilities, dual-core processor, and mobile hotspot for up to 8 devices. 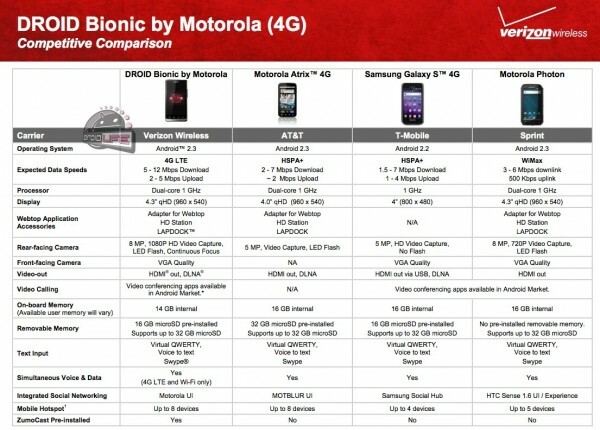 It has all of the specs needed to be considered a top tier device in 2011. Whether we think some of those specs actually are top tier is another story for another day. Oh, and since when does the Photon run HTC Sense 1.6? Is it from 2009?